Today Is Going To Be EPIC! Aww thank you Ryan, you’re so sweet! It’s Star Wars Day!! Not only do you get to tell everyone “May the 4th be with you” all day long, there’s a bunch of awesomeness that goes along with it being Star Wars Day. Like BN.com having all sorts of Star Wars book on sale…well does it still count as a sale if they’re free!? In any case, go read! It’s Free Comic Book Day: And who doesn’t like free stuff? Check here for your local participating stores! Tomorrow is Cinco de Mayo- time for some more Patron! 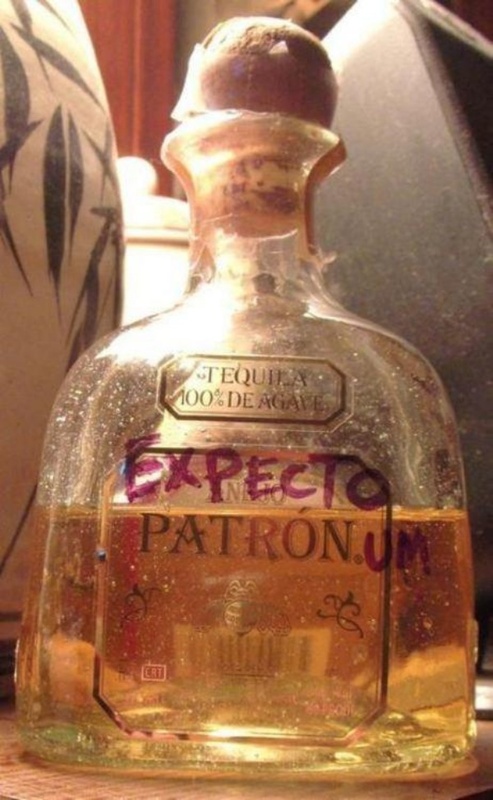 I don’t always do magic, but when I do I use Tequila! 7. Tomorrow is also Sith day! (Revenge of the Fifth) So for those of you who have fallen or (or just vacation on) the dark side, we’re celebrating your awesomeness too! Oh yea you’re still waiting for it…-ARY! Lacquer Saturday: Spring Is (Finally) Here!